Build accurate insurance concrete construction estimates while saving time and money. Designed specifically for concrete, general and building contractors. ConcreteCOST Estimator contains extensive industry standard user-modifiable unit cost data for all cost categories covering concrete construction. Built-in Concrete calculator automatically figures typical measurements simply by entering dimensions. 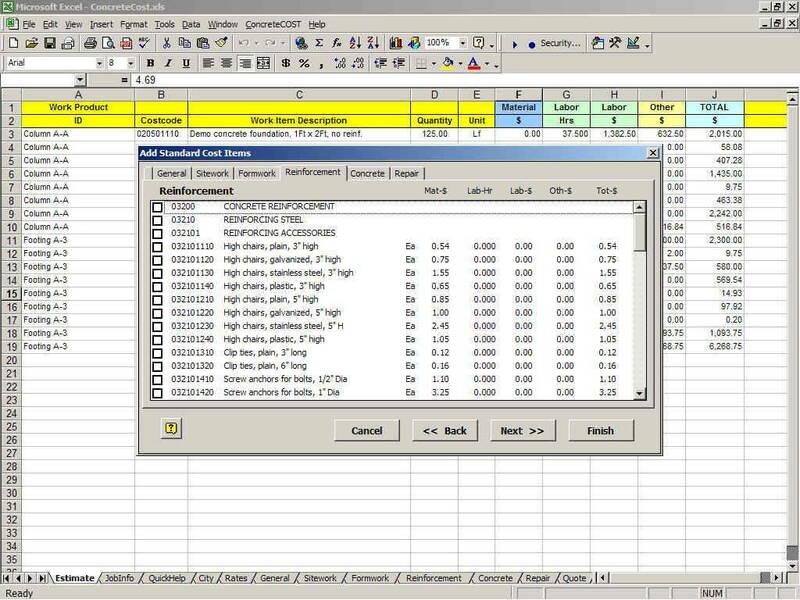 ConcreteCOST Estimator instantly creates user-modifiable, on-screen or printed estimate reports including price quotation. Use ConcreteCOST Estimator as an estimating or sales tool to save time, improve accuracy and achieve greater success. ConcreteCost Estimator is designed and developed in the USA by CPR, Inc. , a leading provider of cost estimating software tools and cost data for the general and specialty construction and insurance repair industry since 1986. Use ConcreteCOST Estimator with confidence and profit! 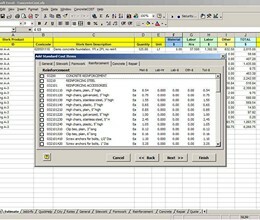 * ConcreteCost Estimator for Excel download link provides trial version of the software. Thanks to share your estimating spreadsheet. This sheet are really helpful for building estimate. I thing all civil engineer can use excel sheet to estimate building materials. Like this spreadsheet for smart and first. ConcreteCost Estimator for Excel has been rated 3.0 out of 5 points. A total of 2 votes cast and 1 users reviewed the software.